Whether you have under-eye darkness, circles, puffiness or bags, this full-coverage formula is going to solve all of that for you.It’s literally your beauty sleep in a jar! Bye Bye Under Eye Corrector is rated 4.1 out of 5 by 90. Discover your most radiant, rested-looking eyes with this problem-solving, color-correcting concealer that delivers highly pigmented, ultra-hydrating full coverage that won’t crease or crack! Developed with plastic surgeons and infused with high-performance pigments plus anti-aging peptides, hydrolyzed collagen, caffeine, cucumber and green coffee extract, the game-changing formula instantly brightens and depuffs the look of your eye area while neutralizing and concealing the appearance of dark circles, bags, age spots and discoloration. 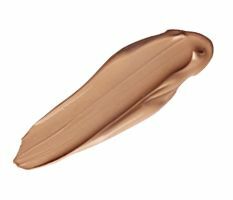 Super creamy and lightweight, it easily blends into your skin for flawless results that last! TITANIUM DIOXIDE, TRIETHYLHEXANOIN, CERA MICROCRISTALLINA/MICROCRYSTALLINE WAX/CIRE MICROCRISTALLINE, DIISOSTEARYL MALATE, DIPENTAERYTHRITYL HEXAHYDROXYSTEARATE/HEXASTEARATE/HEXAROSINATE, PHENYL TRIMETHICONE, PHYTOSTERYL/ISOSTEARYL/CETYL/STEARYL/BEHENYL DIMER DILINOLEATE, SILICA, MICA, SORBITAN OLIVATE, SORBITAN SESQUIOLEATE, CAPRYLIC/CAPRIC TRIGLYCERIDE, CAPRYLYL GLYCOL, ETHYLHEXYLGLYCERIN, STEARALKONIUM HECTORITE, TRIETHOXYCAPRYLYLSILANE, DIMETHICONE, TOCOPHERYL ACETATE, 1,2-HEXANEDIOL, AQUA/WATER/EAU, PROPYLENE CARBONATE, BUTYLENE GLYCOL, CAFFEINE, CHOLESTEROL, COFFEA ARABICA (COFFEE) SEED EXTRACT, NIACINAMIDE, PERSEA GRATISSIMA (AVOCADO) OIL, UBIQUINONE, VITIS VINIFERA (GRAPE) SEED OIL, ANTHEMIS NOBILIS FLOWER WATER, LACTOBACILLUS/HONEYSUCKLE FLOWER/LICORICE ROOT/MORUS ALBA ROOT/PUERARIA LOBATA ROOT/SCHIZANDRA CHINENSIS FRUIT/SCUTELLARIA BAICALENSIS ROOT/SOPHORA JAPONICA FLOWER EXTRACT FERMENT FILTRATE, PERFLUOROHEXANE, HIBISCUS SABDARIFFA FLOWER EXTRACT, CUCUMIS SATIVUS (CUCUMBER) FRUIT EXTRACT, OLEA EUROPAEA (OLIVE) LEAF EXTRACT, GLYCERIN, PROPYLENE GLYCOL, PERFLUORODECALIN, PENTAFLUOROPROPANE, STEARETH-20, CAMELLIA SINENSIS LEAF EXTRACT, PHENOXYETHANOL, COLLOIDAL OATMEAL, HYDROLYZED HYALURONIC ACID, HYDROLYZED SILK, CITRIC ACID, SODIUM BENZOATE, POTASSIUM SORBATE, ALOE BARBADENSIS LEAF EXTRACT, N-HYDROXYSUCCINIMIDE, HYDROLYZED COLLAGEN, CAPRYLHYDROXAMIC ACID, ASCORBIC ACID, BIOTIN, CARNITINE HCL, CHRYSIN, FOLIC ACID, NIACIN, PALMITOYL OLIGOPEPTIDE, PANTOTHENIC ACID, RETINYL PALMITATE, RIBOFLAVIN, THIAMINE HCL, TOCOPHEROL, PALMITOYL TETRAPEPTIDE-7, CHLORHEXIDINE DIGLUCONATE, [+/-: IRON OXIDES (CI 77492, CI 77491, CI 77499)]. Apply to clean, moisturized skin. Using your ring finger or the IT Cosmetics™ Heavenly Luxe™ Dual Airbrush Concealer Brush, smooth onto skin and blend for flawless, full-coverage results. Can be worn alone, or underneath makeup. Using your IT Cosmetics™ Heavenly Luxe™ Dual Airbrush Concealer Brush, apply to your under-eye area in the shape of a triangle, with the base along your eye and the point toward your cheek. This not only conceals dark circles, but instantly creates the illusion of lift! Rated 1 out of 5 by ktbug10 from Wanted to love this I just bought this hoping it would help with the bags under my eye. Maybe the shade I bought was too light but I am not a fan of this product. It's very thick & difficult to apply/blend. It did absolutely nothing for my eyes & a co-worker even told me I looked tired the first day I wore it. I probably won't finish using this product. Rated 2 out of 5 by Marcella from Darker than the other medium I loved the "medium" toned Bye Bye Under Eye, so I figured the Bye Bye Under Eye Corrector would be just as good. I ordered it in the medium, but it is darker than the original Bye Bye Under Eye, so I cannot use it. It makes me look like I am sick with dark, sunken eyes. Is this the concealer in the QVC beauty book? I got that recently and I LOVE that corrector/concealer. If using medium shade Your Skin but Better , what shade is recommended for the ByeBye under eye corrector? What is the difference between this product and the Bye Bye Under Eye Concealing Pot? What color is the model using in this video? I use eye lift in a tube in the medium color. If I want to add the corrector should I go with the light or medium in the corrector with my medium eye lift in a tube?